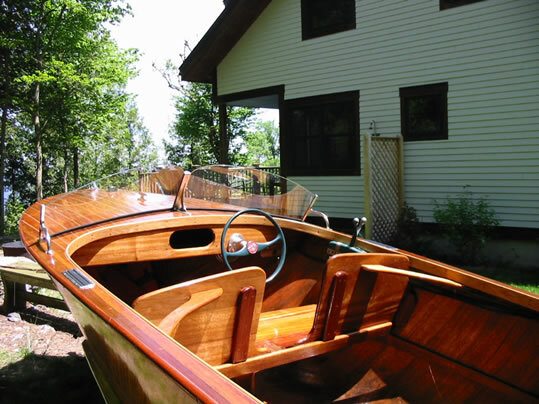 This boat has been completely and thoroughly rebuilt by professional woodworker/boatbuilder. Work completed in 2009. Transom refaced with marine mahogany ply. Bottom reinforced with epoxy and 'glass. All surfaces sealed with penetrating epoxy prior to 4-6 coats of Epihanes varnish. Deck reframed, relaid,and resealed with urethane caulk. 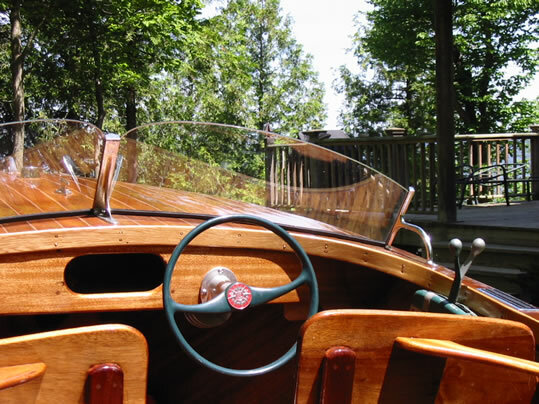 Vintage(Chris Craft brackets) split screen saftey glass windshield installed. Original plexiglass windshield available. Hard bronze bottom paint. Trailer rewired, new tires and wheels - bearings repacked. 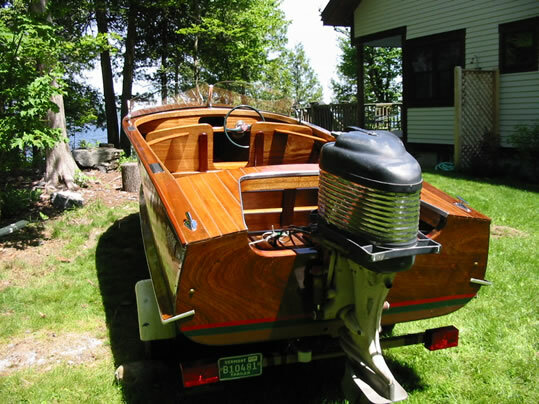 Boat comes with cover suitable for trailering. The Mercury engine in the photo is no longer with it. 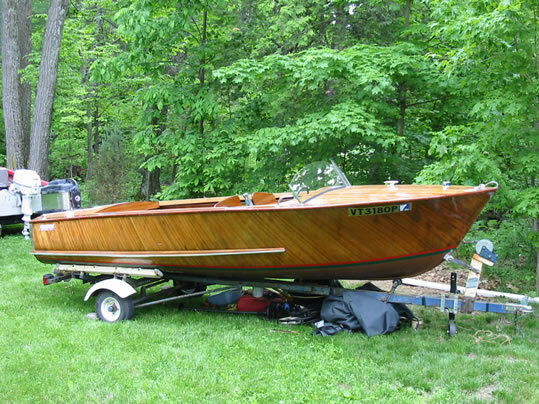 It has a clean well running 1985 Johnson 30 HP. 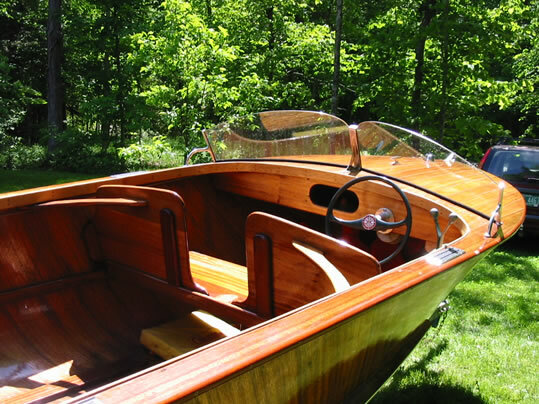 The molded mahogany hull is very light and strong with no seams. 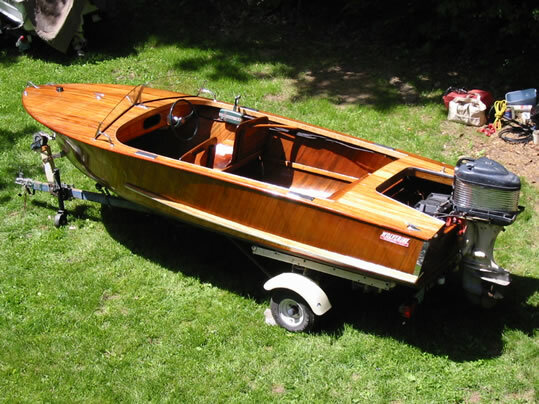 Will sell boat w/o engine if you would like to complete your own vintage set up.